It seems like the world of makeup, hair and all things related to beauty has taken Instagram by storm. The number of hashtags, posts, and accounts dedicated to makeup and beauty is astounding. If you’re a follower of beauty and fashion, then I’m sure you know of just how large the makeup and beauty community is on Instagram. From pics of stunning nail art designs to flawless makeup selfies, the amount of awe inspiring beauty pics is enough to have you heading out the door and to your local beauty supply store. Despite the popularity of the makeup and beauty community, it often feels as though certain demographics are lacking in the exposure department. Women of color, especially black women, often have difficulty finding makeup and beauty accounts that represent their respective communities. With that being said, we’ve taken to Instagram in search of the best makeup accounts for black women. The following is a list of the 5 best black makeup artists to follow on Instagram. Shayla is by far the most popular makeup artist on this list with over 1 million followers. She is often featured on the pages of well-known makeup companies, such as Anastasia Beverly Hills and Smashbox Cosmetics. After taking a break from YouTube for several years, she recently updated her channel with new videos and tutorials. Destiny is the queen of black beauty, both on Instagram and YouTube. Her pics and tutorials are geared towards women of color who have dark skin. She also has a fitness account, which she features videos of her workouts and gives tips on how you can achieve the body of your dreams. Ellarie is bright and bubbly and it shows in her flawless makeup pics. She provides her followers with dozens of makeup tutorials, ranging from bright and sunny to bold and dramatic. 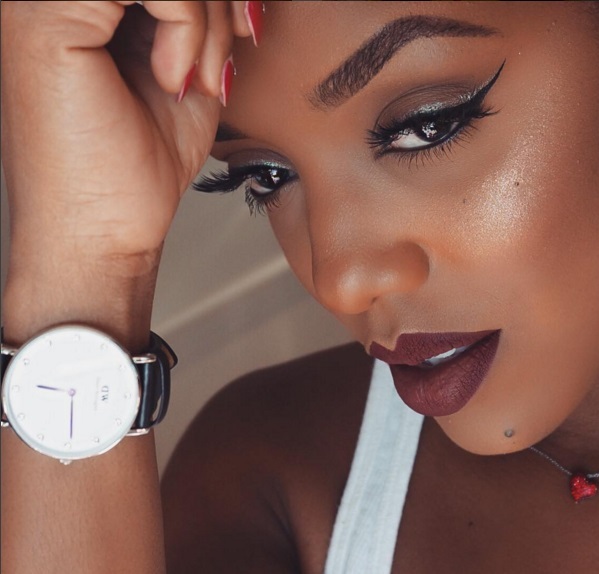 This Kenyan-based beauty is the true definition of a makeup artist. Her account is filled with not only pics of herself, but also stunning editorial and bridal shoots in which she served as the makeup artist. With over 134 thousand followers, Kluermoi’s Instgram page is a beacon uniqueness and makeup inspiration for black and brown women. Her account is filled with beautiful makeup pics of both her and her clients. A lover of wigs, you will also find hair company reviews and wig styling tips. With any look you are going for, these 5 need to be your first ones to check out for pointers, videos and ideas. Follow for stunningly beautiful and unique looks sure to have all eyes on you when recreate their talented and gorgeous looks!